The heart is one of the body’s most important organ systems. The heart pumps blood throughout our body, aiding in oxygenating and nourishing our trillions of cells with oxygen, providing hormones to the cells, and helping exchange nutrients for metabolic waste such as carbon dioxide and nitrogenic waste. The heart is part of the cardiovascular system which includes the heart, blood, and blood vessels. It works through the autonomic nervous system which basically means the heart pump works without our mind or body telling it to do so. The “pump” is an expansion and contraction system which relies on calcium and magnesium for this mechanism. When our food is deficient in these trace minerals the body will steal it from other areas to make sure the heart continues to pump as it is essential for life. Cardiomyopathy – This disease comes in many different forms from dilated cardiomyopathy (popularly known as DCM) to arrhythmogenic right ventricular cardiomyopathy we well as hypertrophic cardiomyopathy and restrictive cardiomyopathy. Cardiomyopathy is a disorder with many underlying cases in which the heart muscle loses its ability to contract normally. DCM is getting the most recognition across google right now as there are reports from veterinarians at Tufts University stating that dogs need grain in their diet to reduce the chance of your dog having DCM. Congestive Heart Failure – This is a multi-faceted issue as not only is the heart muscle weakened, but typically it also includes a large amount of fluid build-up around the heart that also needs management. Congestive Heart Failure (also known as CHF) occurs when the heart is no longer able to pump correctly or efficiently leading fluid to build up in the abdominal cavity or elsewhere in the body. Most often these animals have difficulty with breathing, excessive coughing, weakness, fatigue easily, and even situations where it appears that they are passing out, which can be very scary for the owner. Heart Murmur – Murmurs are typically graded based on their severity. A heart murmur is an abnormal sound that is heard when listening to the heart with a stethoscope and indicates the presence of turbulent blood flow. 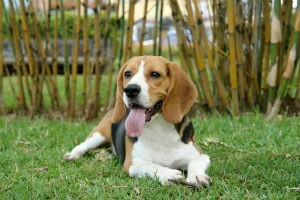 Some dogs will live their entire life with a murmur and it may never come into play as a major health challenge. I’ve seen puppies have a slight murmur when young and “grow out” of the murmur as they age. Or I’ve also seen a slight murmur appear as a pet gets older that needs support and monitoring. When a murmur is present and detected by your veterinarian it is best to rule out heart valve problems, heartworm diagnosis or disease, defects, tumors, or an overall weakened heart. This will help with choosing medications and hearth supportive remedies. With these physical heart conditions mentioned, we must not forget the emotional component of the heart. Heart complications can be brought on by long-standing or severe emotions of being heartbroken or feeling insecure that may include an overall lack of joy in life. Our physical and emotional planes can easily disrupt one another and both should be considered with a diagnosis. It is always best if you suspect a heart issue to consult with your veterinarian. Veterinarians can diagnose heart disease and problems anywhere from early onset to serious conditions. There are many remedies that can support the heart from a naturopathic standpoint. Single herbs that come to mind are Hawthorn, Motherwort, Garlic, Bloodroot, Red Clover, Ginger, Dandelion, Passion Flower, Turmeric, Bugleweed, and Cayenne. Hyland’s cell salts Ferr Phos and Mag Phos are quick favorites. Essentials oils and flower remedies can support the emotional component of feeling heartbroken especially after a loss of a furry friend for both humans and other animals within the home. There are also many great supplements you can use from a young age to help strengthen and protect the heart. My go-to’s are essential fatty acids, such as fish and plant-based oils, CoQ10, l-Carnitine, taurine, magnesium, calcium, potassium, vitamin B and Vitamin E. Every animal is different and their needs will vary based on diagnosis, history, and reasons for supporting the heart and circulatory system. My personal experience with a dog with heart complications is that you often need to combine conventional medicine with natural remedies. I have seen some pets live many months, if not years, with heart conditions depending on the severity of the condition and the amount of stress the cat or dog can handle. Each of our pet’s journey is different as they teach us about life. As cliché as it sounds, for an optimal life with you and your pet’s journey on earth, you need to nourish the body, mind, and soul. How you do that which may change and evolve as you walk the path with them on their life journey.